Havana (AFP) - The communist FARC guerrillas demanded on Tuesday that Colombia's government do more to respect a unilateral ceasefire begun last month, as the sides work to end a half-century of civil war. The government's military actions in the weeks since the ceasefire "go against the national mood" and contradict President Juan Manuel Santos's desire to de-escalate the conflict, the FARC said. 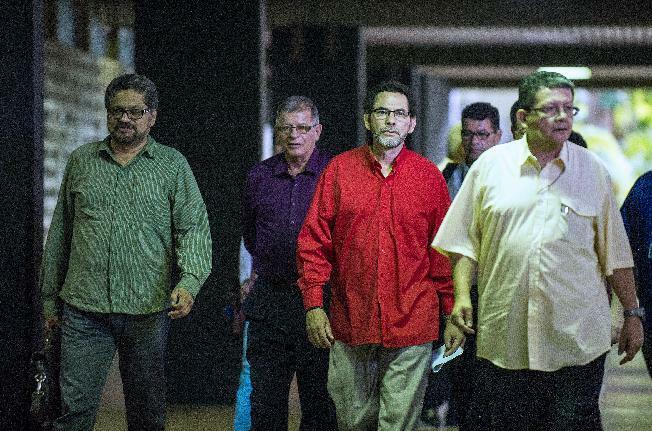 "You cannot abuse the good faith with which we undertook the ceasefire," the Revolutionary Armed Forces of Colombia (FARC) said in a statement posted on its website and attributed to its peace delegation in Havana, where the two sides are in talks. FARC said on December 20 it would observe an indefinite, unilateral truce so long as its forces do not come under attack. The Colombian government has refused to agree to a ceasefire until a comprehensive peace agreement has been reached. The leftist guerrillas have refrained from initiating new hostilities thus far. Colombian officials said the ceasefire is holding with only isolated incidents of violence where FARC rebels are active. "This is a gesture of humanity in response to widespread outcry by the victims of the conflict and national expectations for achieving the end of the confrontation," the ceasefire text said. The Bogota government and the FARC have been negotiating for more than two years in Havana to bring an end to the group's 50-year-old insurgency, but key issues remain unresolved, including disarmament and how any agreement should be ratified. The peace talks being held in the Cuban capital opened in November 2012. They were recently derailed after FARC took captive a general and several soldiers. Talks resumed in December following the general's release. Since 1964, more than 220,000 people have died in the fighting in Colombia.